In groups, students are given a scenario of a leaking underground storage tank. They must decide where to sample on the map while staying within budget. 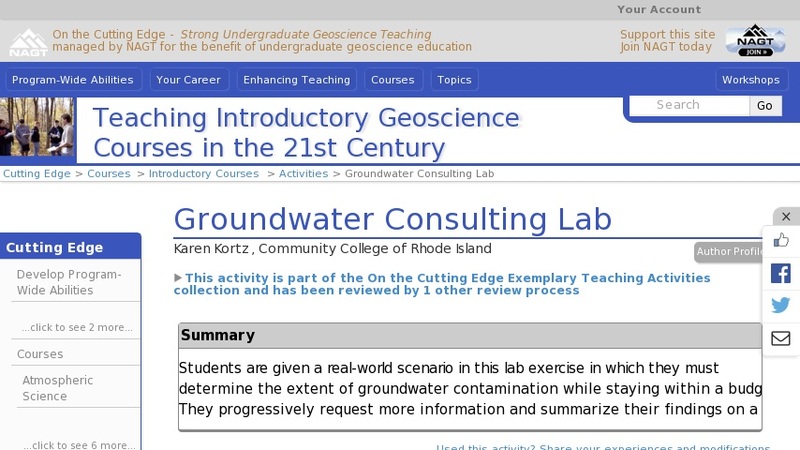 Students progressively collect more data and use them to make an interpretation of the direction of groundwater flow and extent of the contamination. The activity requires that students use their limited resources to solve a real-world problem.